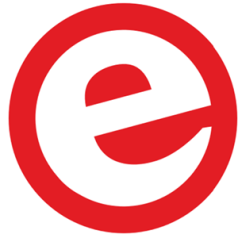 Elektor started with digital print files in 1995. That same year, the first annual CD-ROM appeared, enabling readers to browse Elektor on a PC, produce hard copy of their favorite articles, and search for keywords, all using a special-purpose designed shell program. Later that year, volume CD-ROMs were available in Adobe PDF format, which simplified the compilation and production of CD-ROMs. They have been around now for 17 years without fail. 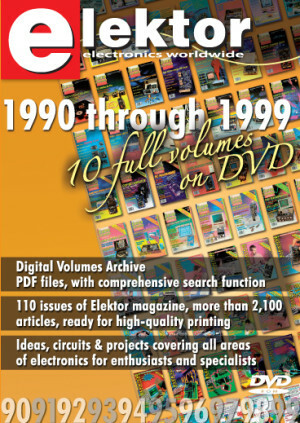 However, many readers expressed a desire for digital versions of Elektor articles published in 1990, 1992, 1993, and 1994 and the idea arose to bundle the entire 90s decennium on single DVD. With a 29% discount, now is the time to purchase this popular DVD. It’s a summer deal you can’t refuse. Order your copy before August 28, 2012 and take advantage of no less than 29% discount! You pay only $79.10. The more than 2,100 articles are stored on the DVD in PDF format under a simple html menu structure for ease of installation and use. As a bonus, the 1990-1999 DVD also contains Elektor's datasheet collections, volumes 1 through 5.